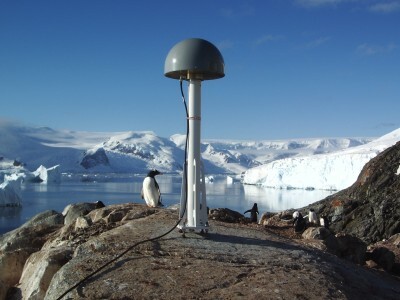 UNAVCO provides geodetic support to NSF-OPP funded scientific investigators working in the Arctic and Antarctic. Survey grade GPS receivers, terrestrial laser scanners, and supporting power and communications systems for continuous data collection and campaign surveying are available. Operation and maintenance services are also provided for long term data collection, with on-line data distribution from the UNAVCO community archive. Request Support if UNAVCO polar services are needed. Researchers are expected to contact UNAVCO to discuss project requirements and obtain a letter of support prior to proposal submission. For additional information regarding available services contact projects unavco.org.